Most people who want to start a small business online lacks strategy to generate income quickly. And these people ended up spending hundreds of dollars or even thousands buying scam products that promise to give them lots of money with little effort required. But what is an online marketing strategy? Is it paid or unpaid strategy? Or is it about how to do email marketing, SEO, mobile marketing or others? Or a more specified technique or hack that can quickly make you money? Today I found one such partnership program claims to successfully adopt an online marketing strategy called “The Magic Duo” to generate 6 to 7 figure income through investing in Pay Per View advertising (PPV). It is said that this partnership program is one of the most powerful, the fastest and the most RISK-FREE program on the planet today when it comes to growing your online business and making money online. And you can even make $1,000/day before Christmas – that's less than 20 days from the day I am writing this article if you follow its strategy. I am pretty curious about how this program works and I bet you too. Its sales video does not clearly explained what is inside this system and information presented is unstructured. To make things easier, I am going to find out what is Traffic Monster Partnership Program and give you a clearer idea on how it works. What is Traffic Monster Partnership Program? Is Traffic Monster Partnership Program Legit or Scam? Is TMPP A Risk-Free Program? Product Type: A four week live coaching program on pay-per-view strategies with some done for you campaign. Summary: A high ticket program that highly depend on the founder to make money. This is an investment rather than a business. However, it can potentially be scaled to become a real business if you managed to master the skills. It all started with Ultimate Traffic Monster Program 3.0, a three part video lessons talking about paid advertisement strategies. Despite it provides some good information about Pay Per View advertising, but if you are a newbie and want to make some quick money after watching the 3 videos, then I don't think it is possible. It is about how quickly you could get high quality cheap traffic applying Pay Per View advertising strategies. The previous version 1.0 & 2.0 had sold over 20,000 copies over the last 3 years whereas Ultimate Traffic Monster 3.0 is given out for free as lead magnet to another high ticket partnership program launched 3 days ago. This high ticket program is a “learn while you earn” program with some done for you system. It is called Traffic Monster Partnership Program, a 4 week LIVE coaching program to teach you how to start PPV campaign using tools and lessons learned inside. Naidy Phoon claims that this system is radically powerful, tested and proven done-for-you program that will work for anyone even a complete newbie. Following this program, you are promised to earn $1,000/day and beyond fast before Christmas. Whether you are working a day job, has only little time or only little budget to spare, this program will work for you. But if you do it on your own, there's no guarantee that you can make it and you might ended up losing money, time and make a lot of mistakes along the way. He also claims that this is the secret to absolute financial and time freedom via proven system validated from years of experience and hundreds of thousands dollars spent. Let's think about this. If he spent so much money testing advertisements and campaigns to perfect this system, how much do you think you must spend to make $1,000/day before Christmas? Furthermore, Naidy claims that PPV traffic is the cheapest and one of the most powerful traffic sources on the internet to generate leads and sales to your business. What is “cheapest” in the view of a marketer who spent hundreds of thousands dollars ($100,000, $200,000, $300,000 or more?) as claimed? Do you think it would be fair to estimate a 1% of $100,000 to define cheap? That's an advertising money of $1,000 you have to spend on top of the cost of becoming partner of Traffic Monster Partnership Program. Sorry to say this, but I've seen common people who generate free traffics, earning up to 6 digits income (some advanced marketers earn up to 7 digits) without paying for any advertisement. So paying $1,000 on paid advertising is a pinch on me. Ok, I know, I am cheapo. But like you, I am really serious about building my business online. Just that I choose to start with free traffic strategy rather than paid strategy. Traffic Monster Partnership Program is promoted as “RISK-FREE”, “QUICK RESULTS” and “EASY” program to make money online. TMPP 4 Weeks Live Coaching Session: Show live on how to find high converting offer, setup landing page, PPV campaign, conversion tracking, find “low hanging fruits” keywords, build a list, and how to legally “steal” traffics from large website including answer unlimited Q&A by members at the end of every session. High Performing Done For You PPV Campaigns: With this you are able to skip all the research, testing and ad creation and get straight to earn money. These campaigns consist of ready made landing pages and keywords targets niches such as anti-aging, internet marketing, gaming, muscle-building, weight loss, PC backup and many more. Personalized Assessment and Custom Action Plan: Once inside the membership dashboard, you will need to go through personalized assessment. This partnership program will tailor-made a course of action for you that fits your personal situation and goals, even as a complete newbie. TMPP Private High Performance Community: In this community, you are also able to share successes, get help and interact with other TMPP members. You will also get access to bonus training sessions by advanced marketers. Lifetime Access to UTM Funnel Builder: Similar to Profit Builder, a powerful funnel builder and landing page creator, UTM funnel builder is a drag and drop page creator software available to members of Traffic Monster Partnership Program. If you do not want to spend too much time learning online marketing strategies and implementations, there is a Done For You service provided by Naidy and his team. By employing this service, you are able to enjoy the following benefits. Custom, Handcrafted PPV Campaign: If you have an existing affiliate offer you want to promote, Traffic Monster Partnership Program will help you create customized landing page, autoresponder email sequence and keyword/target research. Even if you don't have anything in mind to sell, they will pick for you an affiliate offer of your preferred niche. There is no campaign setup, ad creation, page building, copywriting, campaign optimization and analysis on your part. Leverage on TMPP Advertising Account with Propel Media: When you need to advertise in high quality traffic PPV networks like Propel Media, there is a minimum of $1,000 deposit you need to pay. On top of that, it doesn't guarantee you will be approved by the network. But when you employ “Done For You” services, you can leverage on Naidy's advertising account so you escape paying for the $1,000 deposit. Private Leads Marketplace: You get exclusive access to Traffic Monster Partnership Program private lead marketplace whereby you set the number of leads that you want and it will be sent to your autoresponder at 50% lower price than industry average. This is a high quality list where this partnership program will run the campaign on your behalf to deliver the number of list promised so you can rapidly grow your business. Traffic Monster Partnership Program Alliance: Members will put money into a collective fund, form an TMPP alliance and buy traffic not only on PPV but other platforms like Facebook, Google and YouTube. This includes participate in affiliate contest – a huge boost to income, all done for you by Naidy and his team. This eliminates all your risk and maximize profits so you won't spend thousands of dollars testing on campaign that is not making money. Disclaimer upfront: Nandy has put up a disclaimer upfront that despite Traffic Monster Partnership Program is a proven, quick and risk-free shortcut to hit $1,000/day and beyond fast before Christmas, it is not a push-button and no effort required program. There are still work required but it is “easy” if you opt for his Done For You System that I mentioned above. Extra Bonuses: When you become member of Traffic Monster Partnership Program, you will be given 2 bonuses that consist of Free Ultimate IM Vault worth $1,997 and TMPP VIP Upgrade worth $2,997. The perks of this bonus is get direct access to Naidy via skype (regular clients only get email support). Driving Traffic is Challenging: Out of all the things to successfully start a profitable business online, generating traffics requires the most knowledge. It is also a skill all marketers must acquire in order to achieve business success. Seriously, if you are just thinking to build a website, sales pages or even creating a funnel, you can easily do so using the tool that I mentioned earlier. Even if you want to build autoresponders, there are ample of free email tools to start with. Can It Really Turn $1 into $3.50 For You? : Sales video of this partnership program claims that this system can consistently turn every $1 into $3.50 for you. Let's do some simple calculation. In order to generate a profit of $3,500, you need to spend $1,000 on PPV advertisement. Being a newbie, do you think you are ready to invest $1,000 to generate $3,500, or rather use the money to master the skill so you could earn more? 60 Days Money Back Guarantee: Let's go into the truth of the money back guarantee. I applaud that Naidy allows a 60 days money back guarantee with no question asked. But the truth is when you already spend thousands of advertising dollars that has yet to give you the results that you want within 60 days, you might “constructively compelled” to continue with the program just because you've already invested so much. If you quit now, you will lose all your money invested on advertisements. Good if you can quit now to reduce loses. Finally, like what I've always said, the more a system does for you, the lesser control you will have over your online business. In the long term, it is definitely not viable. You still need to learn the trade in the future – unless you make enough money to engage professionals to do it – and we know they are expensive. The cost to join is a one-time investment of $997. This promotion is for a limited period and only opens from Dec 6th EST 9am and will closed on Dec 12th EST 11.59pm. There is no upsell inside this partnership program. I can't say whether Traffic Monster Partnership Program is legit or scam because I didn't try this program. But one thing I can be very sure is this program is on autopilot and you need to trust the Naidy Phoon in order to see results. And it is not a RISK-FREE program. Reputation and experience of Naidy and his team including market trend play important role. Are you willing to take the risk and trust him? Futhermore, I think cost of Traffic Monster Partnership Program at $997 is on a high side. If you are willing to spend some time learning, you can also able to create similar system to make money online. Having said that, the uniqueness about Naidy's program is that he created an alliance of fund from members who want to own an autopilot business online without having to do anything except “investing money”. Not sure how it will turn out to be but that's something I've never heard of. I believe this program is only for marketers who are ready to pay for advertisement. Also for people who do not mind to lose some money, if it ever happens (which according to Naidy, it is very unlikely). Again, reputation and experience of Naidy is the critical success factor. If you are comfortable to put your success on another person, then go for it. But for me I prefer to build an online business that I have direct control and influence over every success, especially when it involves using my hard-earned money. This is NOT a Risk-Free program. If you employ Naidy's team for Done For You system, then you are basically putting your full investment into one basket. 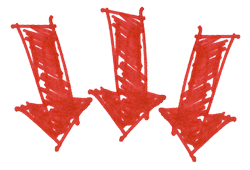 If anything goes wrong, it will be the same for your investment too. On the other hand, if you decided to learn as you earn, not only do you need to put aside some money to join the partnership program and invest in PPV advertisement, you are also required to put in extra hours like how other newbie does to learn how to implement the business. Either way, there is risk involved. Like what I've mentioned earlier, there are common people who have successfully created 6 digits income without paying a single cent for advertisement. What they did were merely these 3 things. I managed to learn the trade and put together this step-by-step guide for you so you can start your business online for free too. These are proven strategies used by successful marketers from around the world to earn millions of dollars but for beginners to intermediate marketers, I've only seen those earning 6 digits. If you are just thinking to start small business online earning six digits income without paying for any advertisement, then you must grab a copy of this free guide that I've put together for you. 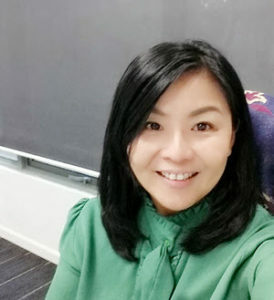 I hope you enjoy reading Traffic Monster Partnership Program review and have better understanding on what is the marketing strategy Naidy Phoon recommends. If there's any question that you wan to ask more about small business marketing strategies, do leave me a comment below. 14 Comments on "What is The Online Marketing Strategy Naidy Phoon Claims To Work?" Traffic Monster Partnership Program sounds like a great program to me. Nowadays I’m really confused where to go in order to learn a good strategy for doing affiliate business. There are lots of scam around. I love how it is only four week training and it is live which is a added bonus for me because I can ask questions more frequently on live coaching. The only part makes me think is the fee for this. It sounds a bit expensive. Yes, you are right. I too feel that this program might be worth to learn. The only consideration is the expensive fee. Design funnel, create sales pages, getting free tools are easy, the only thing that attracts me is The Magic Duo strategy using PPV. But on the other hand, I’ve read about how PPV made huge losses for advertisers around the world. So am still a little skeptical. Hi, thanks for your comprehensive review and writing. In my opinion, traffic will always be the biggest obstcle for anyone that is working on online business. It is the greatest challenge. People like to solve this problem by buying traffic. I do not have any problem with paid traffic, but, as someone that is just started and do not have much to spend on Paid traffic, it is just something that i cannot afford yet. However, if it is up to me, I will also start small business online first, and scale it up along the way..thank you for your advice! Hi Habil, that’s how I feel too. paid traffic is definitely more predictable and easier to scale once you found the right strategy. But that will take experiments if you are doing on your own. On the other side, if you don’t try on your own, how can you ever master the trick and become a real marketer. That’s why I prefer to do trial and error on my own rather than pay for ready made systems. 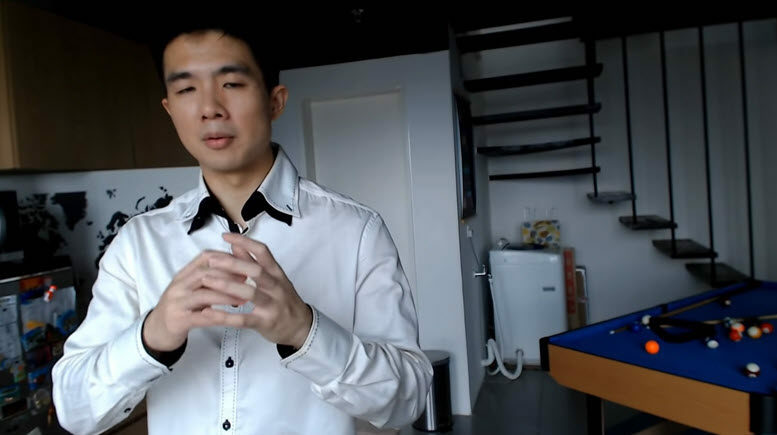 Unlike 10 years ago where Naidy has little information from the internet that he has no choice but to take more time and money to discover the right way, all information that you need is already available on the net. So I guess there’s no need to take too much time to learn.I rather use $997 to do trial and error on paid advertisement than to pay for quick & easy ready-made system. This was a very informative post. This is my first time hearing about TMPP. I am passionate about making money online so I love to read about different platforms out there to help you do that. The starting price to join TMPP was already a red flag for me. I am a newbie in affiliate marketing myself, so my start up costs were much lower than what TMPP wants you to pay. I think that is way too high. And I’m also kind of confused about how it is set up. So do members have to pay $1000 every time they need advertisement? I’m not sure how that works. It was interesting to learn about TMPP, but for me personally the cons of the platform outweighed the pros. I agree with you that it is too risky, and that there are better ways to make money online. First, to clarify, members of TMPP are free to decide how much to invest in PPV advertisement. They can start as small as $100. Unless you find the magic number as stated in The Magic Duo strategy, otherwise you might need to spend more to get it right. The $1,000 is only my personal estimation based on 1% of the amount Naidy spent to perfect this strategy. Yes, there is risk involved. Now is a matter on the level of risk you are willing to take. I had not heard about Traffic Monster Partnership Program before so I was interested to read your review which was detailed, honest and most informative. I really do have a problem with marketing aimed at convincing gullible and vulnerable opportunity seekers that they can make a lot of money in a short period of time. While I agree with you that it’s a good thing that there’s a disclosure that individual earning potential and the time it takes to be successful cannot be guaranteed, we know that disclaimers are nothing more than legal requirements. The problem is people are impacted by the overall marketing message which is usually a lot louder and more prominent than the disclosure. It’s no wonder so many people get sucked into the idea of easy success. I’m not saying it’s not possible but spending a lot of money on a program as well as on traffic is no guarantee you will be successful. The journey to success is a very individual one and most people don’t find it easy or fast. Yes, that’s the reason why I prefer to work my way up with proven step-by-step methods that only requires least investment. I might not be able to earn 6 digits on my blogging business now, but at least I am seeing gradual improvement everyday. It takes longer to become success driving free traffic, but once you get there, the results is the sweetest. It does sound like a really interesting program but at nearly $1000 just to get your foot in through the door – it’s certainly not for me! When you add on the amount you have to pay for the PPV campaigns, I’m afraid it’s well above my budget. Do you know of any cheaper (or even free) systems that could train you in certain aspects of online marketing? Something for newbies perhaps? True. This program by Naidy is well above my budget. I do have a program that has helped me start my small online business. It is affordable too. I’ve put up a free guide on the exact steps I took to start. Please check it out if you are interested. There are so people who are always saying that they can make money online. And nowadays, more people are claiming to help others achieve financial freedom instead. Can you tell me how long does it take for you to start earning money since starting online? And what’s your best strategy that I can learn from? To determine how much time is required to earn money online is very subjective. It also depend on either it is paid or free traffic strategies you are applying. Of course with good paid strategy, you can make money in only a few days. For me, I prefer free traffic. Yes, it does take longer time to achieve success, but in the long run, this is the most sustainable model. Personally, my strategy involves local SEO, social marketing, content marketing and email marketing. The one that gave me best result is local SEO. This is a very interesting and one that I had to think about as I read. First, it’s not for me, but that’s not to say it won’t be for another. The $1,000 up front is too much for a risk. Too much for me to sit and have him or his system work for me. Furthermore, there’s another $1,000 to buy PPV. What happened if I lose all my money buying ads? Well, I don’ t think this is a scam, just that I’m still not ready to take the risk. True. It’s all about whether we are wiling to take the risk. 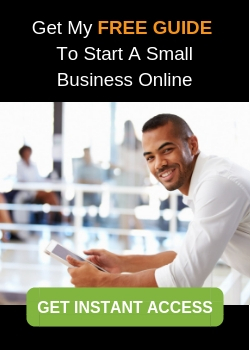 I’ve put up a free guide that shows exactly how I started my small business online. You might consider to check it out.